Bad breath (Halitosis) is usually caused by bacteria that grow in the mouth and that can cause diseases like gingivitis and cavities. So aside from being a cosmetic problem, halitosis can be a symptom of other, more serious diseases of the teeth and gums. 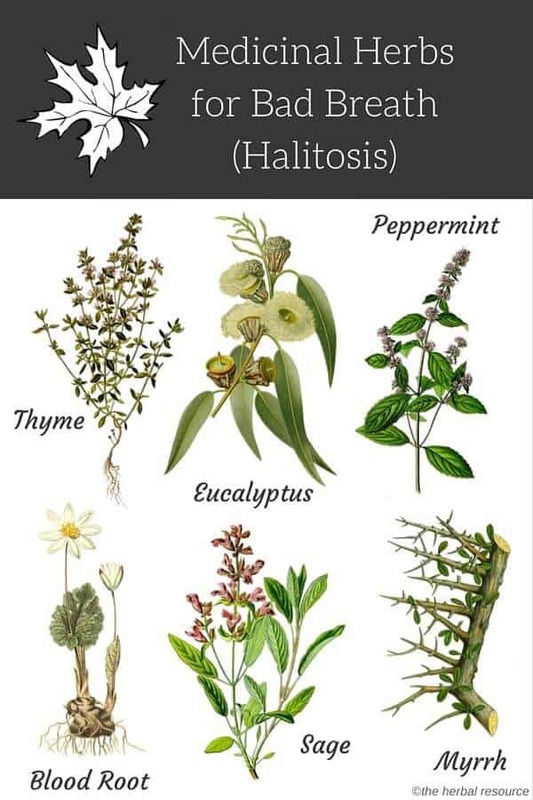 Many herbs frequently used in the kitchen and for the preparation of various beverages like herbal teas and alcoholic drinks contain volatile oils that are anti-bacterial and therefore can be useful for the natural treatment of halitosis. Indeed, many commercially available types of mouthwash and toothpaste contain extracts from the same herbs. It is consequently quite natural to think about using these herbs on their own as a natural remedy for the relief of halitosis. 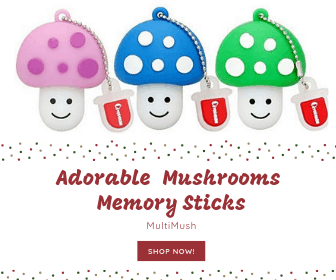 Due to their antibacterial effects, they can also be used for the treatment of upper respiratory infections like the flu and the common cold. Thyme is a perennial herb native to the Mediterranean. It is the source of [easyazon_link identifier=”B006ASJ426″ locale=”US” tag=”herbal-resource-20″]thymol[/easyazon_link], the main ingredient and bioactive substance in the volatile oil contained in thyme leaves. Thymol gives the commercial mouthwash Listerine® its distinctive smell and is responsible for some of the bactericidal effects of this mouthwash. To use thyme as a natural treatment of halitosis, a teaspoon of dried thyme leaves can be boiled in one cup of water for 5 min. After straining and cooling of the liquid, it can be used as a gargle. To use thyme as an antitussive (to treat and prevent coughing), antispasmodic, and expectorant (to help get rid of mucus) a hot infusion of 1 tsp in 1 cup of water needs to be sipped slowly. To make the taste more pleasant it can be sweetened with honey. Thyme makes for a mild and very safe natural remedy that can even be used in children. Eucalyptus is a tree native to Australia, which contains a volatile oil named eucalyptol. The strong-smelling oil is used in an ointment to rub on the chest for the treatment of upper respiratory tract infections. It is also contained in many lozenges for internal use. A gargle made from a decoction of 1 cup of water with 1-5 drops of oil can be used as a natural remedy for halitosis. The use of eucalyptol can come with sometimes severe side effects. Side effects of the internal use of eucalyptol can be nausea, vomiting, and diarrhea. The oil can also cause airway spasms in infants and people who suffer from asthma and should therefore not be used in these populations. It should also not be used internally in people with severe liver or kidney disorders. Peppermint is another aromatic herb which can be used as an herbal remedy for bad breath (halitosis). It can either be used as an infusion or decoction to make a gargle or the pure mint oil can be added (1-5 drops per cup) to lukewarm water and also can be used as a gargle. Pure volatile oils can act as an irritant to skin and mucous membranes and should therefore only be used after dilution. Blood root has been used by Native Americans as a medicinal and ritual plant for a variety of purposes and can be used as a medicinal herb for bad breath. It contains alkaloids, mainly sanguinarine, as the main bioactive substances. The alkaloids can inhibit bacterial growth and are sometimes used as ingredients in toothpaste and mouthwash. Due to their toxicity, they should not be used by themselves or used internally. A bloodroot overdose can cause nausea and vomiting. Sometimes upset stomach and similar gastrointestinal problems can lead to halitosis. In these cases, other natural remedies can bring relief such as myrrh. Myrrh, which is the red-brown resin from shrubs and trees of the Commiphora genus, plants native to the Mediterranean that can help with bad breath when ingested. A small teaspoon of powdered myrrh is mixed with two cups of boiling water. A teaspoon should be taken five to six times per day. Caraway can also relief stomach upsets, help digestion and relieve symptoms of digestive colic. It can be used as a spice in foods or an infusion can be prepared from 1tsp in 1 cup of boiling water. It is safe for use in children. Sage is another relative of thyme and peppermint as they are all members of the mint family. Sage decoctions and infusions have very similar effects as those made from thyme and can be used for the treatment of the symptoms of upper respiratory tract infections and bad breath in a similar way. Sage and thyme are also often combined to make tea to prevent and treat coughing, and to gargle for the use as a remedy for halitosis. While teas for the treatment of upper respiratory tract infections can be sweetened with honey to make them more palatable, gargles should not be sweetened as this would provide nutrition for bacteria in the mouth and counteract the halitosis-reducing effect of the gargle. Other natural herbs that have been used for the treatment of bad breath (halitosis).